I did this workout last night, after getting the idea from a fellow PT. Let’s just say I can feel my legs today! It’s another simple workout routine, that doesn’t require any equipment, except from a box, bench or step you can use to jump on. If you don’t have that, why don’t you do Tuck Jumps instead, where you jump up and pull your knees up. As the header suggests, this is not easy. I was close to beetroot red when I finished. If you’re tough, you do 2 rounds. If you’re made of steel, you do 3. Let me know how you go! If you look cute when you finish your workout, you didn’t train hard enough! 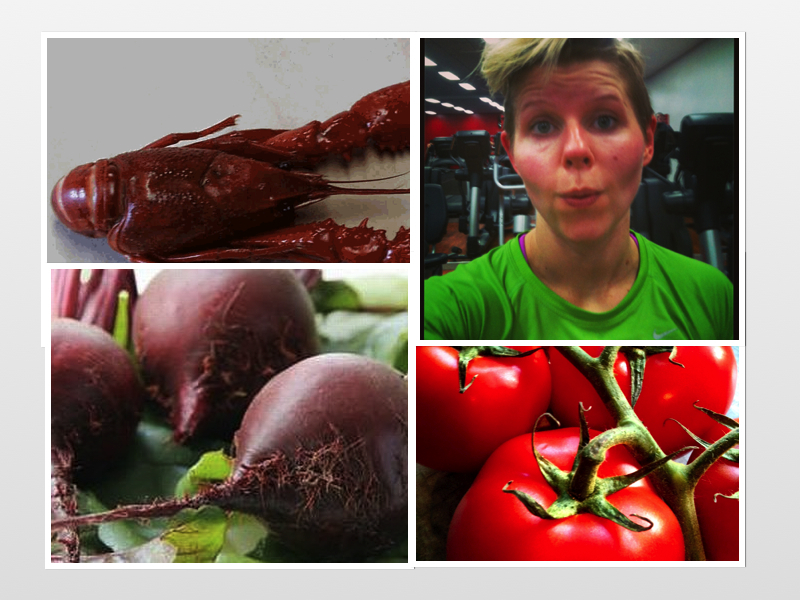 Closest to a beetroot, a tomato or a crayfish in colour? Disclaimer; I strongly recommend that you consult with your doctor before beginning any exercise program. If you are under 18, pregnant, nursing or have health problems, consult your doctor about specific medical conditions. This entry was posted in Workout - Try This At Home and tagged Beach Workout, bodyweight squats, Burpees, healthy-living, Jumping Jacks, Legs, Lunges, No Equipment Workout, Skipping, Squats, Strong Legs, Workout. Bookmark the permalink. I reckon too!!! Have you tried it yet? ?